Greetings Loyal Airmen, we would imagine that by the time most of you are reading this Flight Log, it will be the day after Thanksgiving. It is our fondest wish that all of you spent a wonderful day with family and friends, carried on old traditions, ate lots of great food and generally spent the day reflecting on the great bounty we have in our blessed America. For us, Valerie started getting ready days ago, allotting specific goals along the way. That way by the time Turkey Day arrived, she was ready. And happily, we had a few extra guests seated around our table this year enjoying the fun. Now that’s special. Things were jumping in the Air Chief’s office as well. 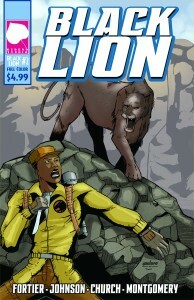 Two of the comics series we’ve been writing for the past few years are progressing well. 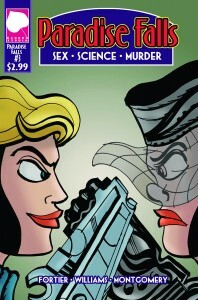 The third and final issue of our sci-fi thriller, PARADISE FALLS arrived in the mail this past week. Story by yours truly, pencils by John Williams and letters by Warren Montgomery. 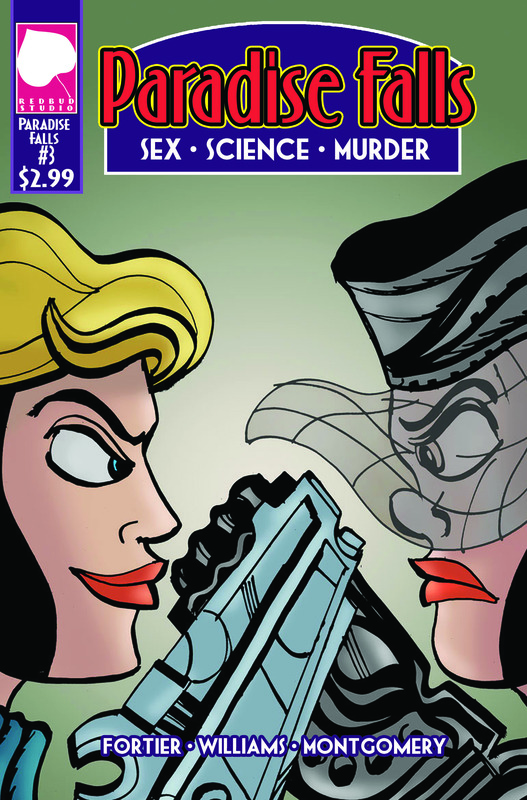 Warren also colored the cover. Now that all three issues our out, the plan is for us to assembled them all sometime next year in a collected edition which will be published on Amazon. Stay tuned. Also arriving on the exact same day was BLACK LION # 2. Story by the Air Chiefs, pencils by Kevin Johnson, inks & colors by Arrick Church, letters by Warren Montgomery, who also colored this cover as well. This is the 2 of 5. With fingers crossed we’ll get the next three issues out in 2019 and eventually a collected edition of this as well. 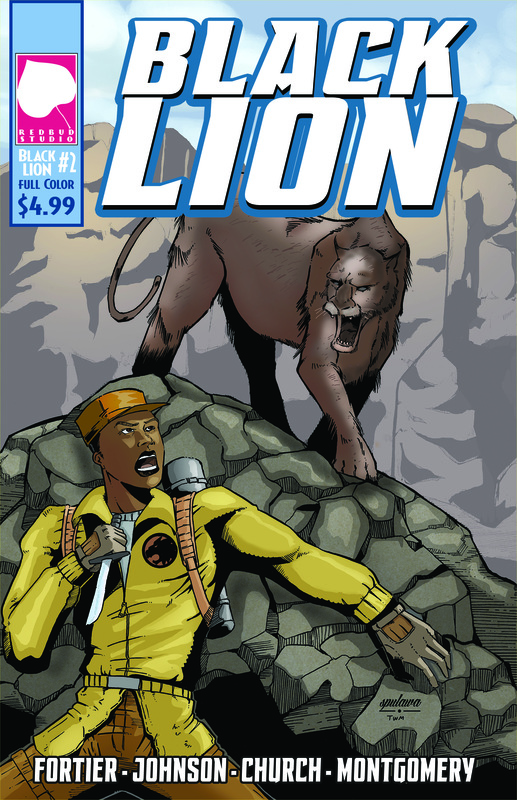 For now, all you Loyal Airmen can buy both PARADISE FALLS # 3 and BLACK LION # 2 at (www.IndyPlanet.com) As always, thanks for your support. Things were active on the pulp front as well. As most of you will recall, last year we wrote a novella called “Faces of Fear,” and it was published by Moonstone Books. The story teamed up pulp heroes Black Bat and the Purple Scar. 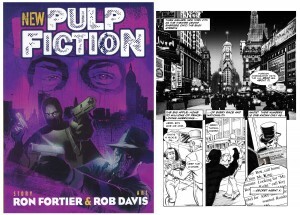 Rob Davis provided all the interior illustrations. Later that year, Rob and the Air Chief published a 29 pg Secret Agent X comic book entitled “Race With the Devil.” We self-published this via Rob’s Redbud Studio imprint and at most of our convention appearances sold both books side by side. Then when this year rolled around, Moonstone’s publisher Joe Gentile had the idea of putting both the novella and comic book together in one book and labeled it NEW PULP FICTION. (See cover above.) Rob and the Air Chief were thrilled by the idea and next week it arrives in comic shops around the country. Though we’re relatively sure sales were low, never fear Loyal Airmen, as Rob and the Air Chief will most assuredly have copies of this title at our con appearances in 2019. Finally we leave with the picture above. 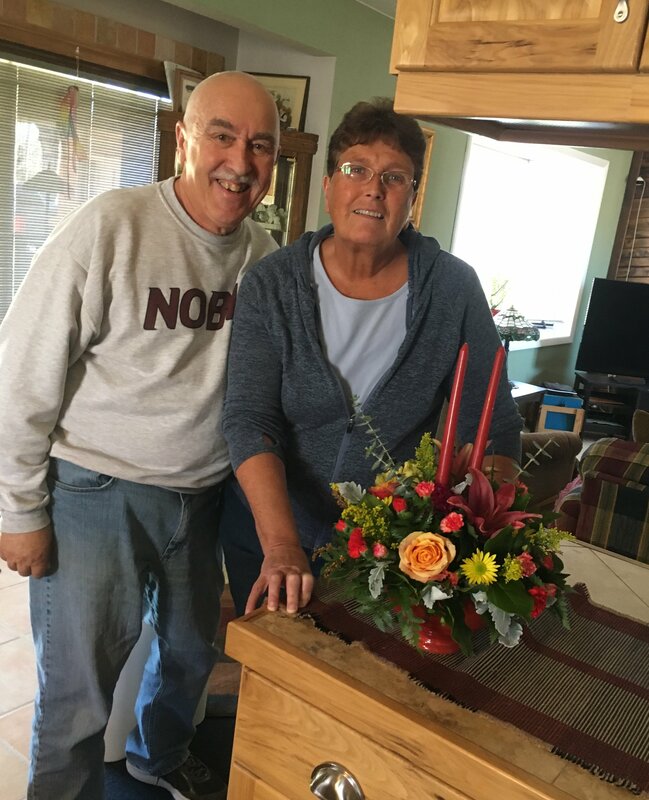 While Val and our granddaughter were busy preparing the Thanksgiving feast, a florist truck drove up the yard and delivered the beautiful bouquet of flowers you see in the picture above. A totally unexpected surprise from our dear friend, Norma Kay Justice of Kentucky. Norma is the widow of writer Mark Justice, who passed away several years ago. Since that time, the Air Chief has reprinted Mark’s first The Dead Sheriff novel last year and then we finished the second novel that was left incomplete at Mark’s passing. That book should be out in a few more weeks, all fingers crossed. Sadly, in the intervening years, Norma Kay has become a good friend to us. That bouquet so colored up the living room and gave the entire house a truly festive feeling. Thanks so much Norma, and to all our Loyal Airmen, it is our fondest wish that the days and weeks ahead become your best holiday season ever. God bless you all.